A unique and intimate evening called Music for Medwish. Featuring some of Broadway’s best here in Los Angeles. You will be treated to some songs and special stories about their life and their journeys through show business on the East coast and the West. 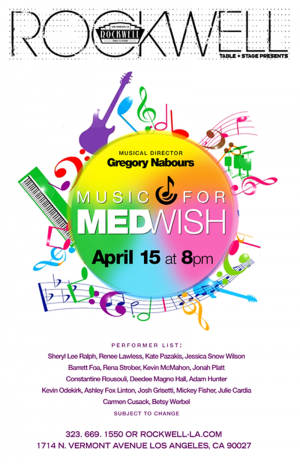 Proceeds will benefit MedWish International.